This tree snake looks like he's got his eye on some lunch. What do you think a tree snake eats for lunch? Color him in and read the words at the bottom to find out! The child who like reptiles will have fun coloring in the striped snake on this coloring page. 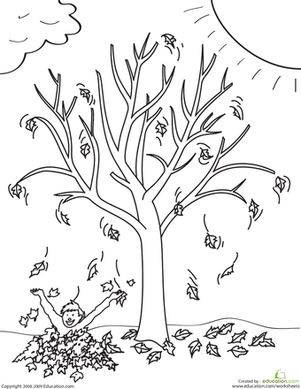 This autumn tree coloring page will have you breaking out your red, orange, and yellow crayons! 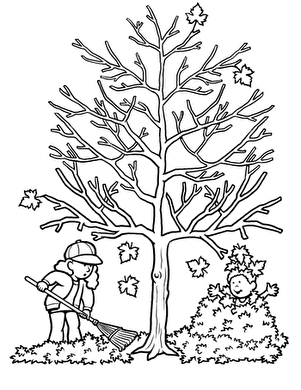 Introduce your child to Joshua Tree National Park with this great coloring page! This coloring page shows Santa putting presents under the tree! It's the big night, and Santa is delivering presents to all the good little boys and girls. Help Sally the Snake get dressed up in this worksheet where you don't color by number, you color by noun.